The movie is being helmed by debutant Abhiraj Minawala,who has served as assistant director on films such as Salman's 'Sultan' and Shah Rukh Khan's 'Fan'. 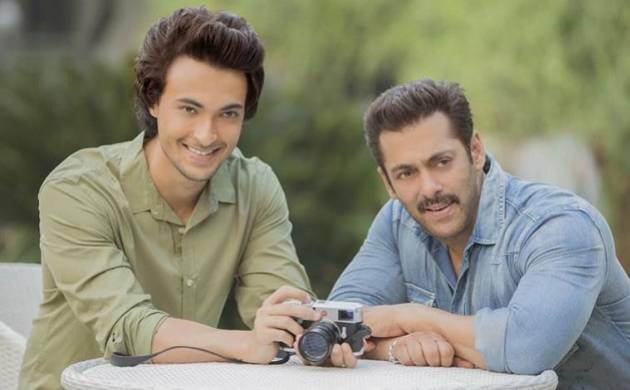 Superstar Salman Khan is all set to launch his brother-in-law Aayush Sharma in his home production 'Loveratri'. The 51-year-old star took to micro-blogging site Twitter to make the announcement of the project, which will be the fifth film under his banner, Salman Khan Films. "Feeling very happy to announce @SKFilmsOfficial productions ka fifth venture #Loveratri introducing @aaysharmadirected by Abhiraj Minawala. More details soon," wrote Salman. The female lead of the movie is yet to be announced. Aayush, who is married to Salman's sister Arpita Khan,took to Twitter to thank the 'Tubelight' actor. "Thank you bhai.. Overwhelmed to start this journey..Can't believe this is happening! Looking forward to #Loveratri.. @BeingSalmanKhan," he wrote.